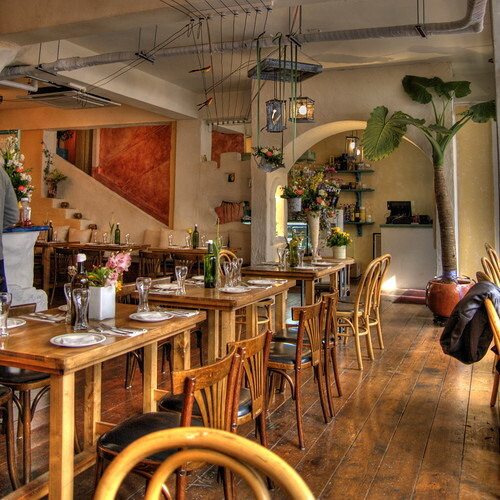 Snuggled next to Gecko's Garden, behind the Hamilton Hotel in Itaewon, My Chelsea is a good looking restaurant. 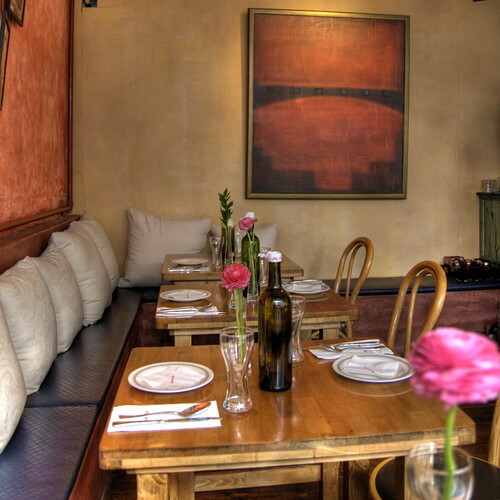 Oozing Soho cool with hardwood floors and warm creams and reds, this restaurant screams fashion. 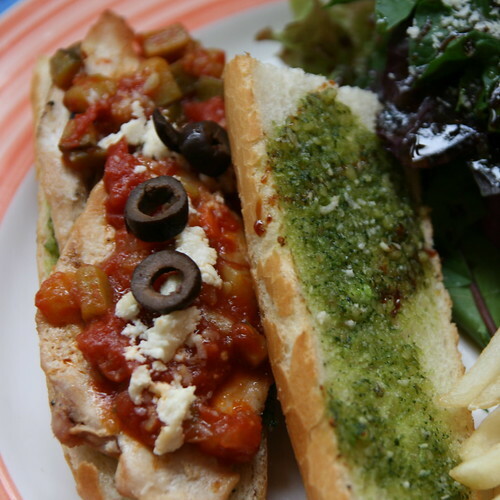 Its simple lunch menu offers a selection of eleven dishes ranging from the Daily Brunch (9,000 won) to the Garden Pizza (15,000 won). 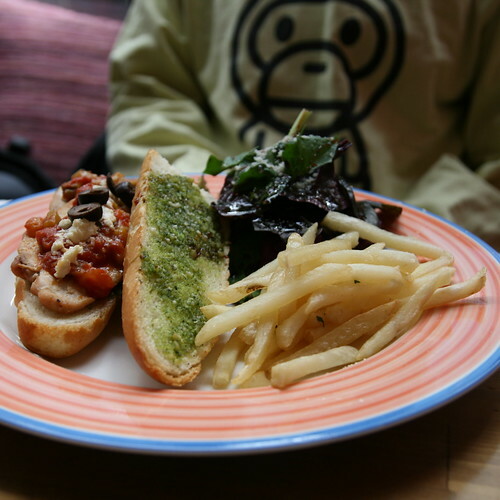 I settled on the Pesto Cream Pasta (14,000 won) and my friend went for the Owner Special (14,000 won). 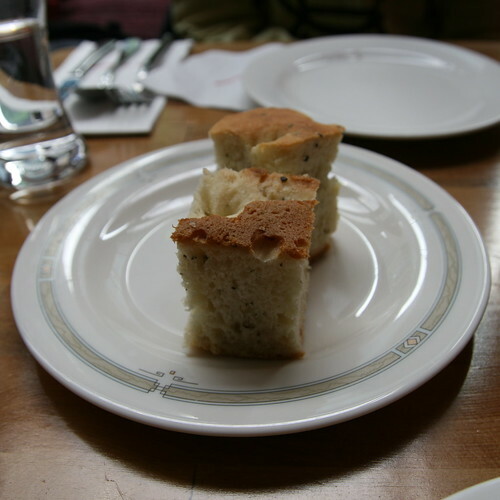 To start out, two tiny pieces of rather bland bread. Better than the usual stuff at Paris Baguette, but nothing to write home about. Next up was a surprise bowl of pumpkin soup. Neither my friend nor I had expected to receive this and it was plonked in the middle of the table. Maybe sharing a large pot of Kimchi chiggae is par for the course, but splitting a bowl of pumpkin soup seemed more than a little odd to us. The soup, like the bread, was not bad, but failed to impress. Free soup is always welcome, even if it is a little too sweet. The main courses arrived next and the Owner Special looked fantastic. A luxurious chicken sandwich with a side salad and fries. The chicken was a little dry, but still very tasty. 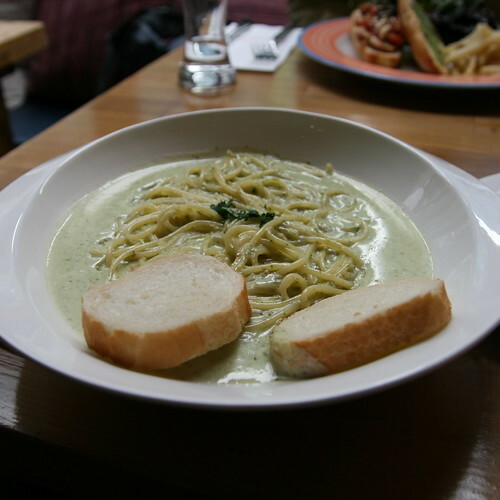 The Pesto Cream Pasta came with two slices of soft, tasteless baguette which were already a little soggy from their time on top of the sauce. 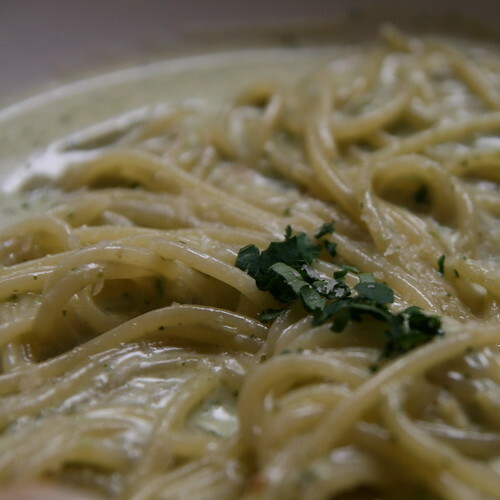 I'm a great fan of pesto, but I've never had pesto cream. If today's meal is anything to go by, I probably won't have it again. The cream completely overpowered the garlic, pine nuts and parsley; the basil didn't even stand a chance. Despite assurances from the waiter that the pesto was made with basil, I couldn't taste it at all. Cream and parsley were the stars, with the odd squish of a piece of pine nut. 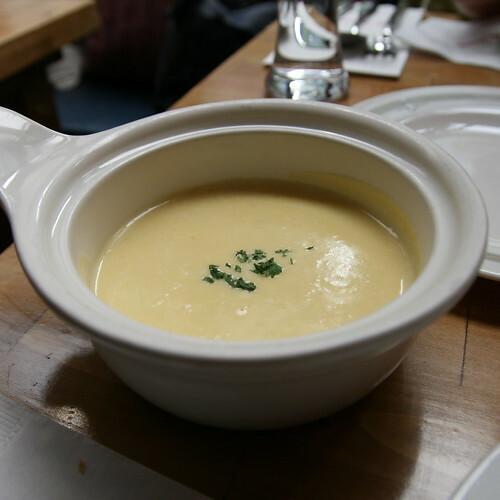 Like the breads and the soup, the main characteristic of the dish was its blandness. No strong flavours stood out and nothing impressed. A rather dull meal. The service at My Chelsea is fast and friendly, but that doesn't make up for the disappointing food. Hopefully, over time, this place will improve, but for now you're probably better off heading to My Thai or My China. 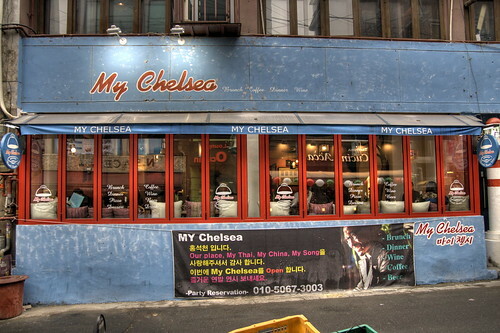 To get to My Chelsea, come out of Itaewon station and head down the side alley next to the Hamilton Hotel. Turn left and My Chelsea is on the right hand side of the road opposite Syd and Mels. Call them on 02 749 1373.